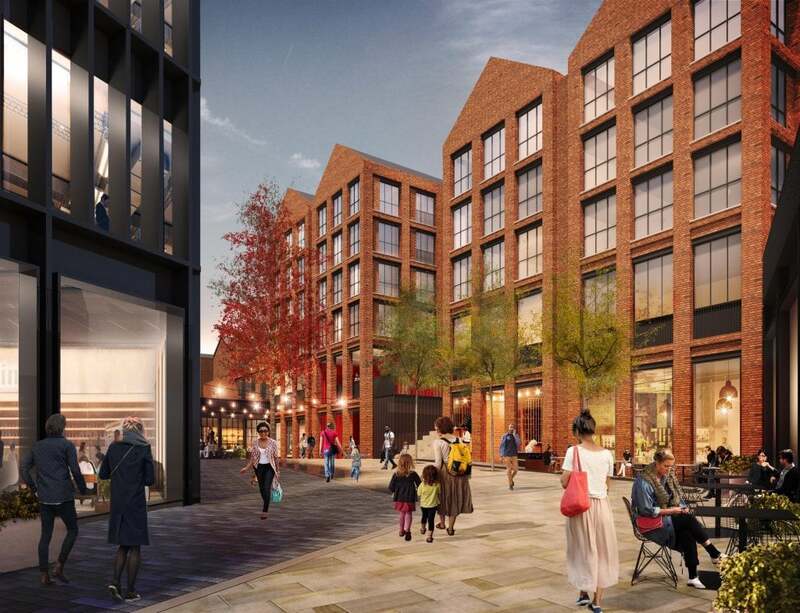 Plans to transform the four-acre AE Harris site in the Jewellery Quarter have been submitted to Birmingham City Council. Joint venture partners Galliard Homes and Apsley House Capital are aiming to build a mixed-use scheme of more than 320 new apartments – including lofts and duplexes – and circa 100,000 sq ft of commercial space, creating a new gateway hub in the Jewellery Quarter. The £125million scheme is bounded by Newhall Street, Graham Street, Brook Street, James Street and Northwood Street. The development, called St Paul’s Quarter, has been master-planned and designed by award-winning architects Glenn Howells and comprises 20 individual buildings of between two and five storeys. Two Grade II listed buildings at the site – 109 Northwood Street, the former Harper’s Hill Works, and a neo-Georgian factory on the corner of Newhall Street and James Street – will be preserved. The development partners are proposing to retain a further two buildings considered to be of architectural merit: 123 Northwood Street, which extends to Regent Place, and 128 Northwood Street. At present, there is no public access through the site. 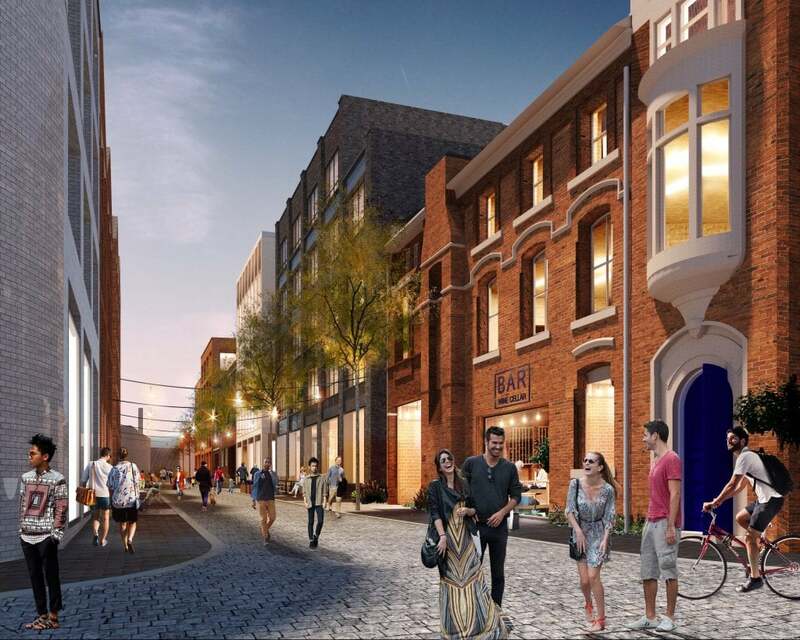 The joint venture partners’ plans include a new pedestrian boulevard from Newhall Street into the heart of the Jewellery Quarter. Northwood Street, now a private road serving the AE Harris factory, will also be opened up to public. A public square will be incorporated, in the centre of the scheme, surrounded by shops, bars and restaurants at street level. Stephen Conway, chairman of Galliard Homes, said: “The Jewellery Quarter is one of Birmingham’s best assets. Our plans will create a new animated hub in the area where people can live, work and play. Gerard Nock, chairman at Apsley House Capital, said: “We are thrilled to have secured the AE Harris site and have some exciting plans to transform this underutilised industrial area. “The Jewellery Quarter became increasingly industrialised from the 1960s onwards, but prior to that most people working in the area would have lived there too. It will be great to see this important gateway site returning to its roots, with more than 500 people living here. AE Harris was established in 1880 and has occupied its current site since 1964. It now employs 37 people. The firm has more than 100,000 sq ft of space in 11 buildings, but operates from just a third of the site. The engineering business is planning to move to new premises in Frankley before the end of this year. Russell Luckock, chairman of AE Harris, said: “In the decades following our move to Northwood Street in 1964 we acquired neighbouring plots to accommodate our growing business. However, today’s modern manufacturing methods mean we no longer require all this space and many of the buildings have become surplus to our requirements. Being in the middle of a bustling city centre is also no longer necessary or ideal for our operations. More than 500 jobs are expected to be created at the scheme, including construction posts and jobs in the food, beverage, retail and office sector. The development is anticipated to take five years to complete. The Northwood Street access will be opened once AE Harris leaves the site. 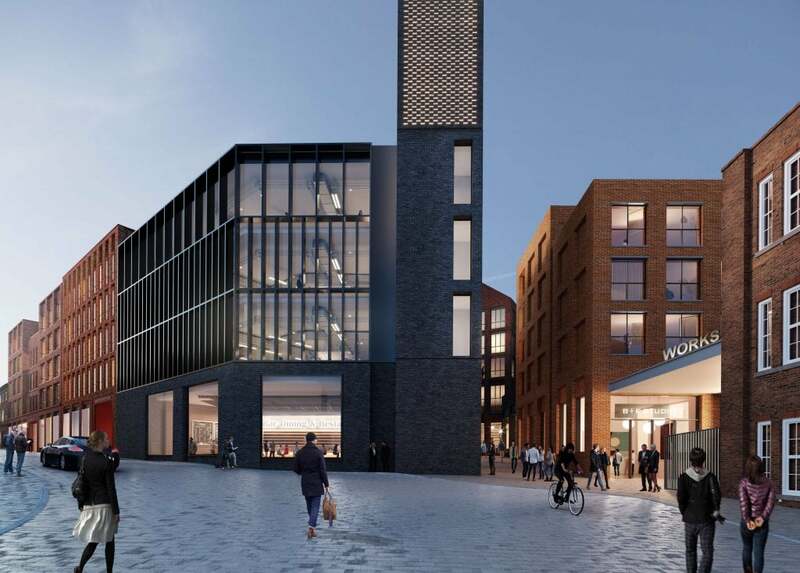 Dav Bansal, director at Glenn Howells Architects, said: “The sensitive proposals to reconnect and unlock this site strive to create a fine grain of streets and courts that reflect the intense character of the Jewellery Quarter. The approach has been to carefully restore some existing fabric alongside a new composition of modern buildings which share a considered palette of materials, detailing and proportions.